Multinational insurance group RSA has announced the appointment of Scott Egan as Chief Executive Officer (CEO) of its UK & International division, effective 5 February 2019. He replaces outgoing CEO Steve Lewis, who will step down from this role and leave RSA, the company explained. 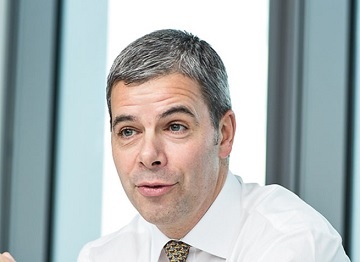 Egan has served as Chief Financial Officer at RSA since October 2015, and has previously held senior roles at Zurich, Aviva, Brit Insurance and Towergate. “I’d like to thank Steve for his service to RSA over the last four years, leading a comprehensive restructuring of our UK&I businesses,” Hester added. Egan also commented: “I’m delighted to be taking on this role. The UK&I region has undergone substantial transformation in recent years. RSA said that the recruitment process for a new CFO is now underway and an appointment can be expected within the coming weeks. In the meantime, Rupert Taylor Rea, Group Financial Performance Director, and Jane Poole, Chief Financial Controller, will jointly report to Hester as interim Group CFOs.